​It was early fall when my family and I moved to Arkansas. School was already in session, so I was enrolled right away. I carried my dictionary everywhere and used a lot of hand signals to get my thoughts across. English as a second language was not taught in our small town, so I translated every other word in my textbooks to be able to understand what I read. 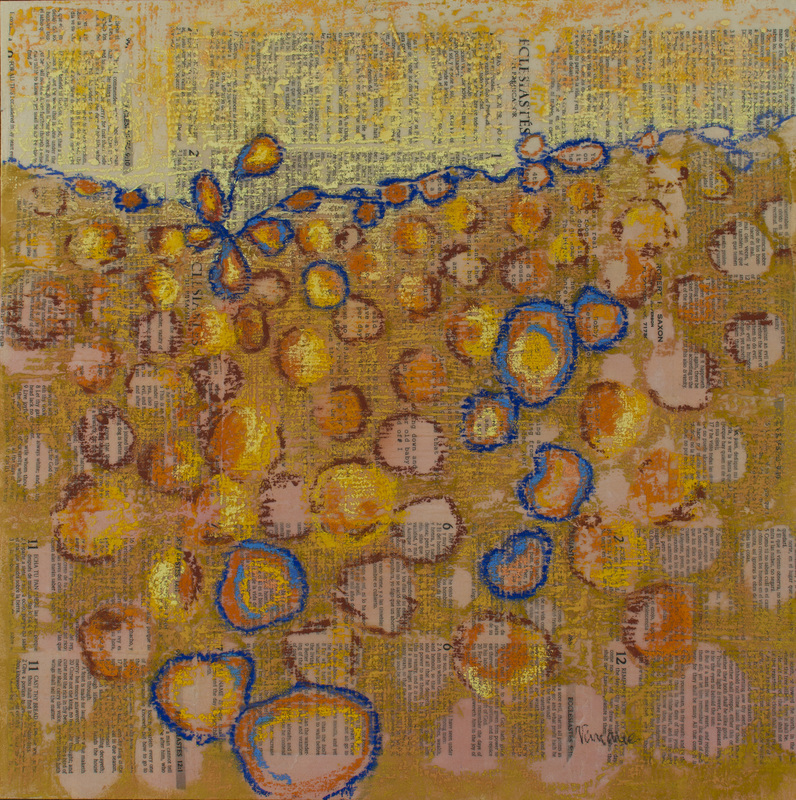 In this painting, I use words from my Spanish- English Bible and letters from a family friend to represent some of those life-changing moments. Learning English is the hardest thing I have ever done but along the way, the most amazing people showed me kindness and love and helped me blossom into the person I am today. The journey was bumpy but the outcome was glorious.